We were lucky recently to stay in a fantastic machiya (traditional wooden Kyoto townhouse) accommodation in the heart of Kyoto. 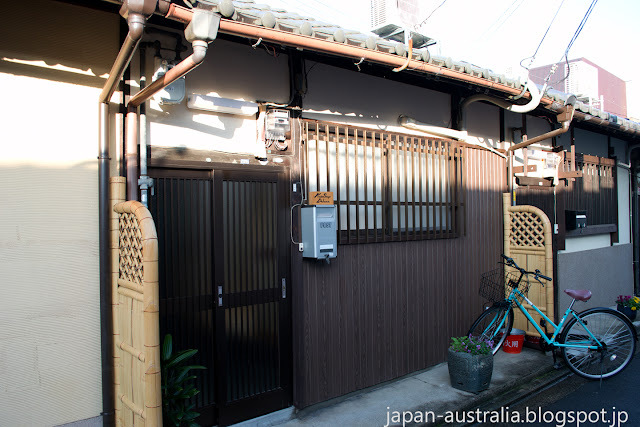 Kujo Stays is a set of 4 Japanese style townhouses that gives you a taste of real Japanese style accommodation and lifestyle with their authentic look and feel. Machiya are great because they combine all the advantages of a vacation rental with the authenticity of a ryokan (traditional Japanese inn). The rooms at Kujo Stays are very quiet, peaceful and comfortable, allowing you to concentrate on the important things in Kyoto which are all the historic temples, colourful shrines and sublime gardens. 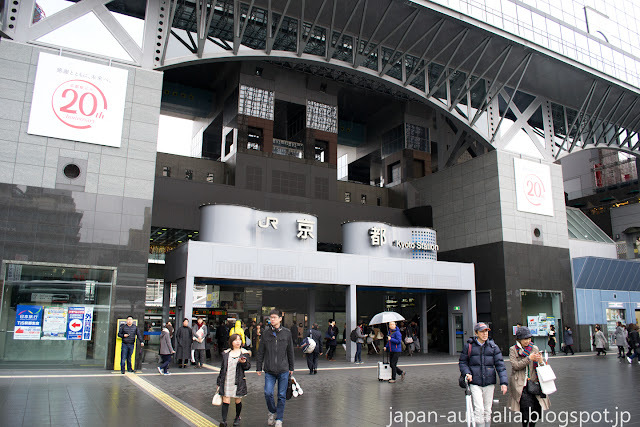 Located a short 5 minute walk from JR Kyoto Station, Kujo Stays is also conveniently located near a big AEON Shopping Mall. 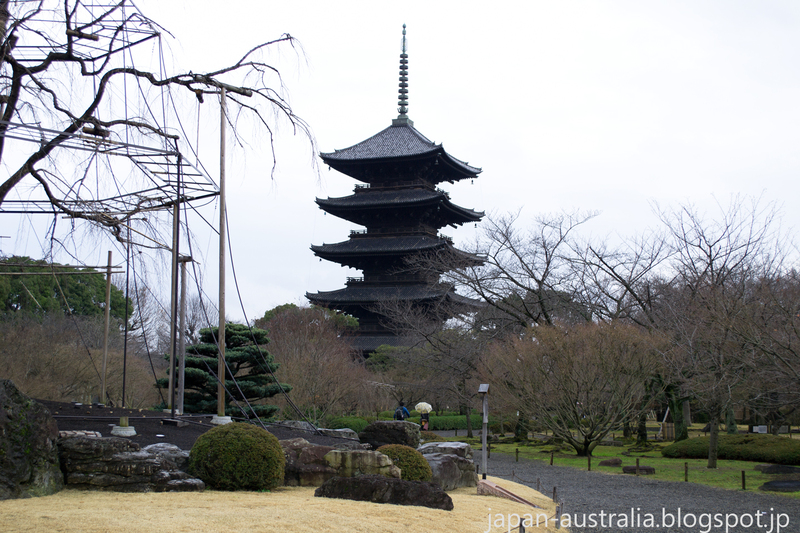 If you are looking for a bit of culture and history, make sure to check out the UNESCO World Heritage, To-ji Temple, which is only a 10-minute walk from the accommodation. The temple which served as one of the guardian temples of ancient Kyoto is home to Japan’s tallest wooden 5-storey pagoda, as well as Japan’s most famous flea market which is held on its serene grounds on the 21st of every month. 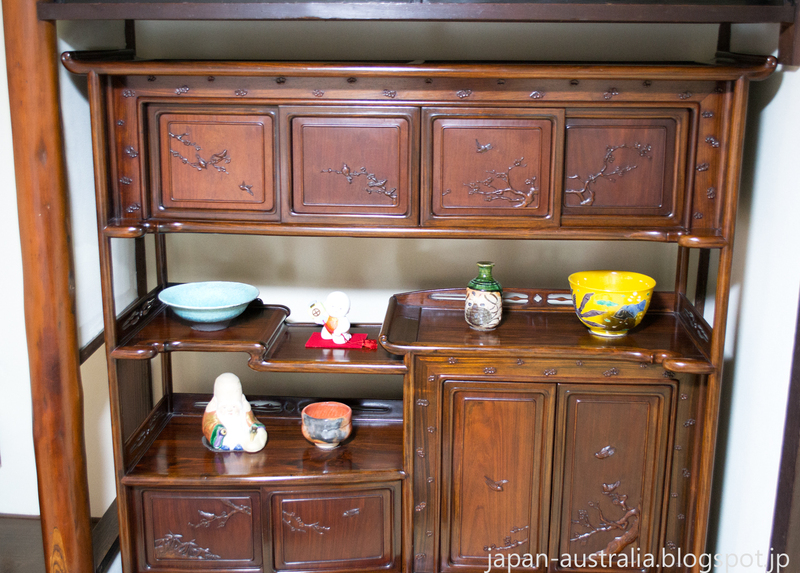 Kujo Stays features rooms with traditional Japanese machiya style décor such as tatami-mat floors, folding screens and hanging scrolls as well as basic furniture such as chabudai (Japanese low tables) and tansu (Japanese chest of drawers), along with Japanese ornaments and decorations such as pottery and ceramics. The rooms at Kujo Stays are minimalist and very spacious which is great for families with kids or for those looking for a traditional Japanese experience. The futon bedding is comfortable and safe for children. We didn’t have to worry about kids falling out of beds at all. 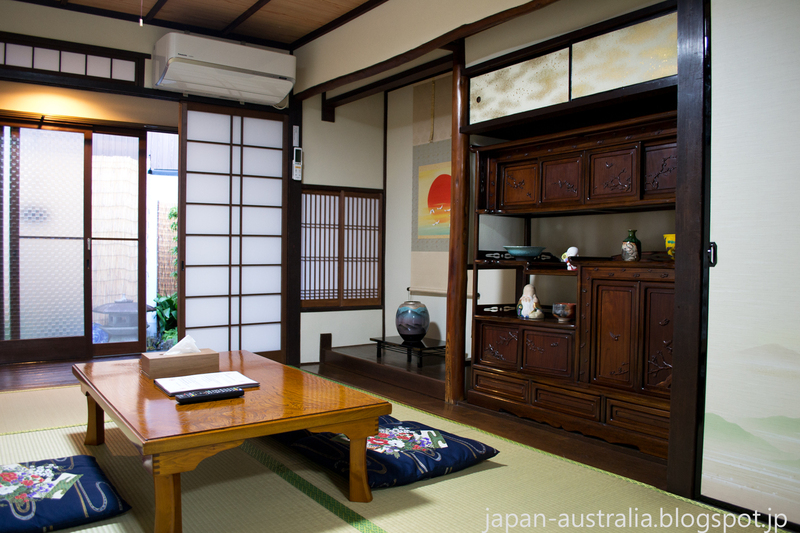 Along with the traditional Japanese rooms are mod-cons designed to make your stay all that more comfortable. The essentials are all there such as heating, air conditioning, flat-screen TV, FREE WiFi, and private bathroom/shower. We also really loved having kitchen facilities as well as a washing machine to keep on top of the dirty laundry that starts to pile up after a few days of sightseeing. The kitchen facilities include a microwave, fridge and all the kitchenware necessary to make your stay away from home as pleasant as possible. I also like the fact the once you have picked up your room key from nearby Ebisu Ryokan, you are free to come and go as you please without the need to drop off the key whenever you want to go out. The highlight of the stay for me was the beautiful Japanese style Zen garden which can be found in all the Kujo Stays townhouses. 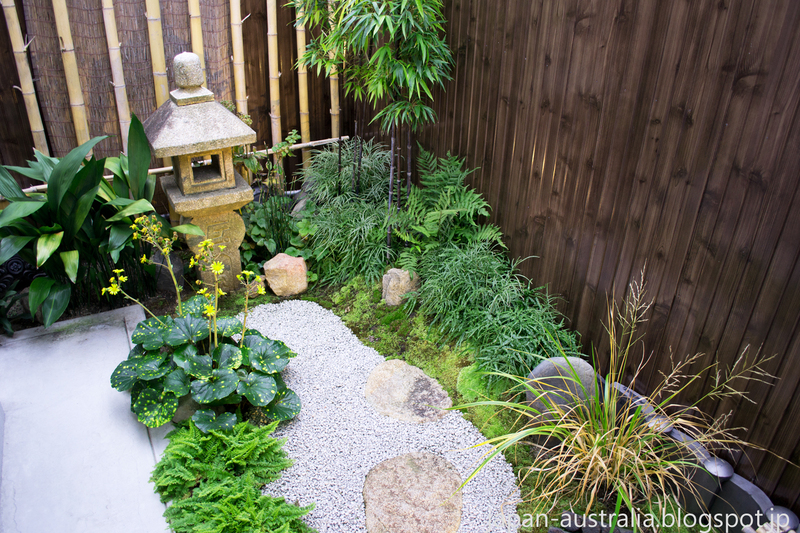 Designed by the owners Mr & Mrs Shimamoto, the enclosed courtyard gardens are illuminated at night to create a magical atmosphere. 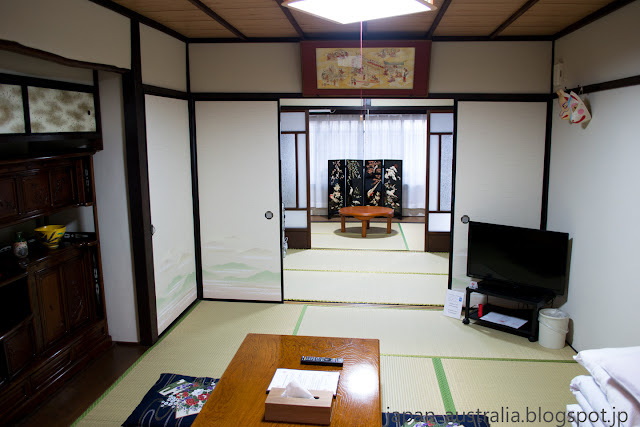 The property is managed by Global Network, who also own the nearby Ebisu Ryokan where we picked up the key to our room. Although there are no staff onsite at Kujo Stays, the friendly staff at Ebisu Ryokan are happy for you to stop by with any questions you may have. The staff can speak a multitude of languages including but not limited to English, Chinese, Korean, Indonesian, and of course Japanese. In fact, the onsite manager is a fellow Aussie who has spent the last 10 years working in both China and Japan, including several years in my hometown of Gifu. Kujo Stays might appear to be a little more pricey than say your typical accommodation, but it is definitely worth the money for the fantastic location, facilities and spaciousness. I hope you will pay them a visit the next time you are in Kyoto. Just remember to tell them that John from Japan Australia sent you. Hi Lina! Not a problem. Yes, definitely check it out the next time you are in Kyoto. 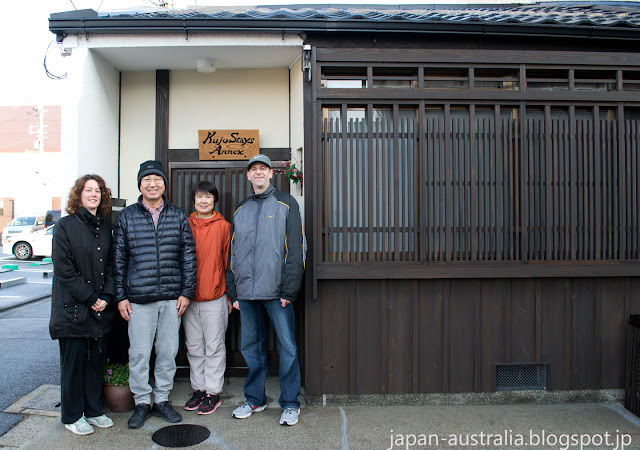 It is perfect for a family to stay in and is very much like a rental home but giving you a true authentic Kyoto/Japanese experience. Hello Maria! Thank you for the comment. It is actually a machiya which gives you more freedom than a ryokan and is like staying in your own home away from home. I definitely recommend a stay if you are visiting Kyoto. Thank you for sharing very informative post about kyoto.Its extremely good and very helpful for me. Thank you John! I'm glad to hear that you enjoyed it. Have you visited Kyoto before?